With the Blessings of His Holiness Pujyashri Jayendra Saraswathi Shankaracharya Swamiji and His Holiness Pujyashri Shankara Vijayendra Saraswathi Shankaracharya Swamiji , the Bhoomi Puja of Sankara Eye Hospital in Odisha was performed on 20 Feb. 2014 at Samarjhala Village, Hinjilicut, Ganjam District in the benign presence of His Holiness Pujyashri Jayendra Saraswathi Shankaracharya Swamiji. The Chief Minister of Orissa Shri. 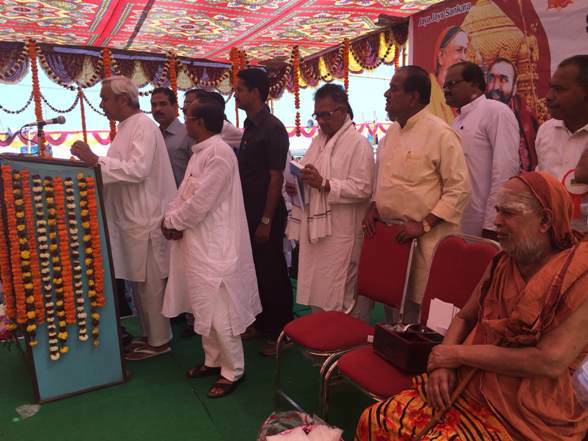 Naveen Patnaik, and other dignitariestook part in the programme. .
His Holiness Jagadguru Pujyashri Chandrasekharendra Sarasvati Shankaracharya Swamigal the 68th Acharya of Kanchi Kamakoti Peetha was deeply interested in preserving and interpreting for the benefit of the present and future generations in India and abroad, the relics of the glorious culture and civilization of India. His Holiness was familiar with epigraphy, the richest and irrefutable among the sources of the history of India's culture and civilization. The idea of delving into, and publishing in a codified manner all important Sanskrit and Prakrit inscriptions of India with English translation was conceived by His Holiness and a Trust was formed in 1984 to carry out this task. 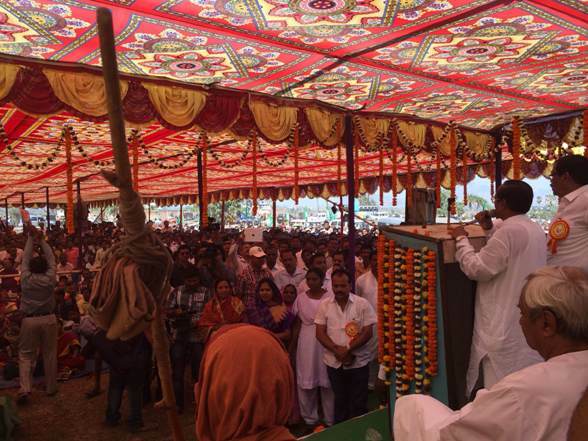 His Holiness named the trust as " The Uttankita Vidya Aranya Trust" meaning 'The forest of engraved knowledge'. The first volume was published in 1985 as a general and dedicatory volume also outlining the further work of the trust as directed by Paramacharya. 2nd volume to 7th volume covered period from 257 BC to 1000AD. The third part of the fourth volume covered foreign inscriptions. 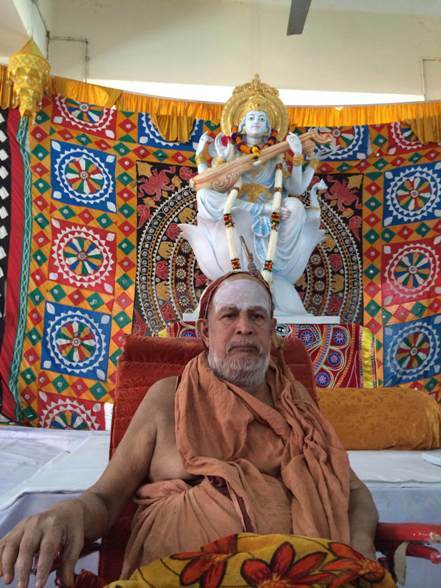 They were released with the benign blessings of His Holiness Pujyashri Jayendra Saraswati Shankaracharya Swamigal and His Holiness Pujyashri Shankara Vijayendra Saraswati Shankaracharya Swamigal. The current volume which is the eight in the series, contains 76 inscriptions belonging to the 10th century AD. The inscriptions come from different parts of Indian subcontinent, many from Orissa and represent different dynasties. The Bhauma -Kara dynasty, the Bhanja dynasty, the Tunga Dynasty, the Sulki Dynasty, the Somavamsins Dynasty of Orissa have contributed to the major share of inscriptions. The inscriptions throw light on various grants for learned scholars- people related to temple activities like garland makers etc., administration, various Veda Shakhas and contain high literary merit. This volume contains more number of inscriptions related to Orissa state, hence the publication was released in Orissa itself during His Holiness' visit coinciding with the Bhoomi Puja function to enable the people of the state to know about their history and epigraphy. 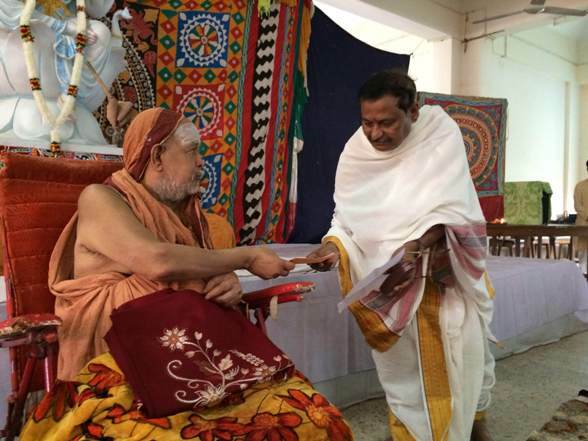 With the benign Blessings of Pujyashri Shankaracharya Swamiji, a Chair on Advaita Vedanta was established in Puri Jagannath University in Odisha. The Vice Chancellor of the University received the grant and Blessings from His Holiness Pujyashri Jayendra Saraswathi Shankaracharya Swamiji.